Christenson, D. M. (2019). Plautus, Casina: Performance and Reception . London: Bloomsbury Academic Publishing. Christenson, D. M. (2016). Roman Comedy: Five Plays by Plautus and Terence (2nd edition) . Hackett Publishing. Revised original publication (Focus Classical Library, 2010) for 2nd edition with Hackett. Christenson, D. M. (2015). Hysterical Laughter: Four Ancient Comedies about Women . Oxford and New York: Oxford University Press. Christenson, D. M. (2010). Roman Comedy: Five Plays by Plautus and Terence . Newburyport, MA: Focus Publishing (The Focus Classical Library). Christenson, D. M. (2008). Plautus: Casina, Amphitryon, Captivi, & Pseudolus . Focus Classical Library/Hackett Publishing. Christenson, D. M. (2000). Plautus: Amphitruo . Cambridge University Press. Christenson, D. M. (2019). Metatheatre. In The Cambridge Companion to Roman Comedy (pp 136-50). Cambridge, UK: Cambridge University Press. Christenson, D. M. (2016). All's Well That Ends Well? Old Fools, Morality, and Plautine Epilogues. In Roman Drama and its Contexts (pp 215-29). Berlin and New York: Walter de Gruyter Gruyter (Trends in Classics Supplementary Volumes). Christenson, D. M. (2014). A Roman Thesaurus: Religion, Marriage, Metatheater, and Concord in Aulularia. In Plautine Trends: Studies in Plautine Comedy and its Reception,	Festschrift in Honor of Professor Dimitrios Raios (pp 13-42). Berlin and New York: Walter de Gruyter (Trends in Classics Supplementary Volumes 29). Christenson, D. M. (2013). Eunuchus. In A Companion to Terence (pp 262-80). Oxford and Malden, MA: Blackwell Publishing. Christenson, D. M. (2004). "Unbearding Morality: Appearance and Persuasion in Pro Caelio". Classical Journal , 100, 61-72. Christenson, D. M. (2002). "Superbia in Vergil's Aeneid: Who's Haughty and Who's Not?". Scholia , 11, 44-54. Christenson, D. M. (2001). "Grotesque Realism in Plautus' Amphitruo". Classical Journal , 96, 243-60. Christenson, D. M. (2001). "Callinus and militia amoris in Achilles Tatius' Leucippe and Cleitophon". Classical Quarterly , N.S. 50, 631-2. Christenson, D. M. (2015, 09-25-2015). The Anxieties of Empire? Identity Theft in Roman Comedy . Invited Lecture, University of Illinois. University of Illinois at Urbana-Champaign: U. of Illinois Department of Classics. Christenson, D. M. (2015, 10-06-2015). Spinach, Bacon, and Barbarians: The Reception of Greek Comedy at Rome . University of Arizona Museum Rome Exhibition Symposium. 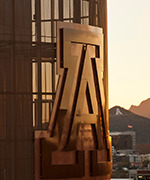 U. of Arizona: UA Museum. Christenson, D. M. (2015, June). Talking Over the Play: More on Plautine Epilogues . 8th Trends in Classics International Conference on Roman Drama and its Contexts. Thessaloniki, Greece: Aristotle University (Greece), University of Oxford (UK), British Council. Christenson, D. M. (2017. Annotated Bibliography of Plautus, Amphitruo. Oxford Bibliographies in Classics. Christenson, D. M. (2015. A. Petrides, Menander, New Comedy and the Visual(pp (online)). Christenson, D. M. (2015. M. Beard, Laughter in Ancient Rome: On Joking, Tickling, and Cracking Up(pp 388-91). Chicago. Christenson, D. M. (2014. F. Hurka, Die Asinaria des Plautus(pp 310-312). Cambridge, UK. Christenson, D. M. (2014. Sander M. Goldberg, Terence, Hecyra(pp (online)). Bryn Mawr, PA.
Christenson, D. M. (2012. A. Sharrock, Reading Roman Comedy: Poetics and Playfulness in Plautus and Terence(pp 430-432). Toronto. Christenson, D. M. (2010. M. Fontaine, Funny Words in Plautine Comedy(pp 296-298). Amherst, MA. Christenson, D. M. (2009, June). "Terence’s Adelphoe". The Literary Encyclopedia. Christenson, D. M. (2009, March). "Plautus’s Truculentus". The Literary Encyclopedia.